Who or what is to blame for the injury epidemic that has sent Andy Murray to the operating table, while forcing both Novak Djokovic and Stan Wawrinka into hibernation since Wimbledon? However you look at it, the last year has been a tough one for tennis physios. A glance back at the top five seeds from the 2017 Australian Open shows that two (Murray and Kei Nishikori) are missing from Melbourne on fitness grounds, while the remaining three (Djokovic, Wawrinka and Milos Raonic) are all labouring under the shadow of chronic injuries. But Federer has suggested that this alarming sequence of events was actually no more than a coincidence. “I mean, the ATP is looking into it,” he said. “From what I heard, there was actually less injuries [last season] throughout. The moment you reach 30, it's normal to have some signs of usage of the body. Federer’s stance on this issue is supported by one leading coach, who was particularly unimpressed by Raonic’s recent suggestion that tennis should play all its significant events within a seven-month window. The tennis tour may look unforgiving, grinding away as it does from the first week of January to the middle of November. But the rank and file - who earn far less per event than the big boys – have to attend a lot of tournaments to make a living. 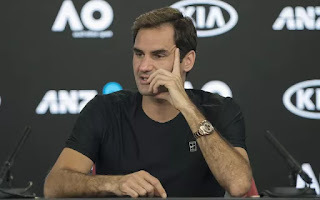 “The job of the ATP is to offer jobs to 150 or 200 guys,” said the coach, who has worked with a Big Four player in the past. “Those lower-ranked guys don’t have the luxury to pick and choose their schedule. They aren’t being offered hefty appearance fees. But without them, there is no-one for the famous guys to play in the early rounds. At the time of writing, both Wawrinka and Djokovic had declared themselves in good enough shape to play, despite being some way short of optimum fitness. On the women’s side, the same went for the reigning Wimbledon champion Garbine Muguruza. And Federer can sympathise with all three, having been in the same position when he turned up here 12 months ago. “I was like, ‘Let's just see what happens’,” said Federer, thinking back to his triumphant comeback from a six-month lay-off in 2016. “I'm not at 100 per cent, but you never know in a week's time what's going to be happening. If you're in the draw, you give yourself a chance. That's what happened for me last year. All ended up way better than I thought it would. The bookmakers are listing Federer as the runaway favourite to defend his title here. As so often, the main competition is expected to come from Nadal. The world No 1 had to pull out of November’s ATP Finals in London because of knee trouble, but has looked increasingly strong in practice, defeating Dominic Thiem on Saturday in an unofficial outing on Margaret Court Arena that featured line judges, ball kids and Hawk-Eye. Still, Nadal did not feel ready to participate in Brisbane a fortnight ago. And history shows that he has never won a grand slam without playing a warm-up tournament. “With age,” said Federer, “I play down my chances. Just because I don't think a 36-year-old should be a favourite of a tournament.” Perhaps not, but last year’s Australian Open delivered one of the great sporting fairytales. In the coming days, many at Melbourne Park will be baying for an encore. 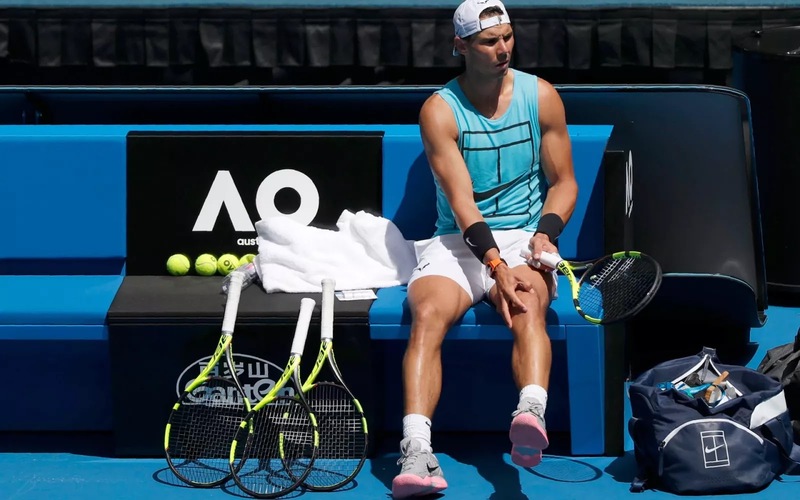 0 Response to "Australian Open 2018: Rafael Nadal and Roger Federer split on reason behind injury epidemic on tour"